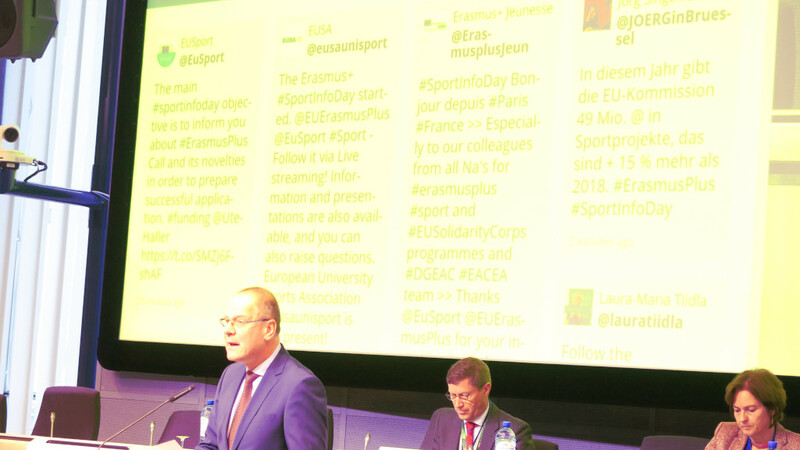 The European Commission and the Education, Audiovisual and Culture Executive Agency (EACEA) organised on February 5 in Brussels an info day on Erasmus+ Sport and other EU funding opportunities, followed by project coordinators' meeting the following day. 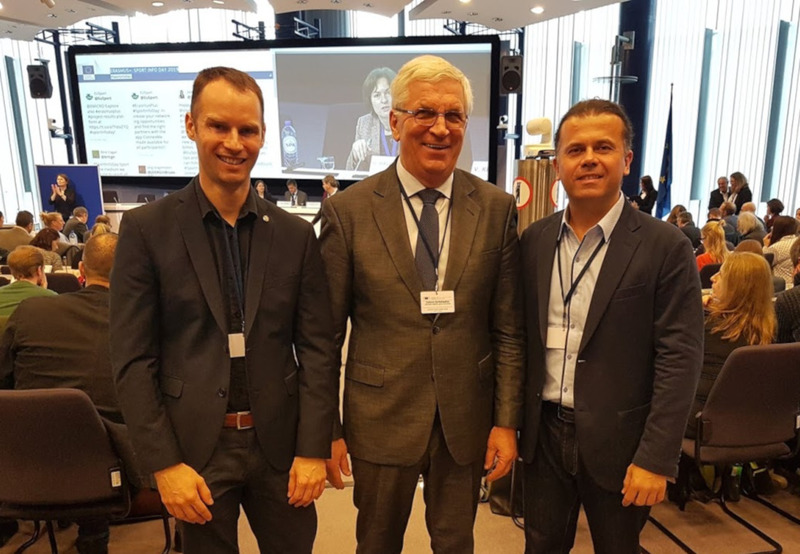 European University Sports Association (EUSA) and its Institute attended the event and were represented by Mr Andrej Pisl, Communications and Projects Manager. 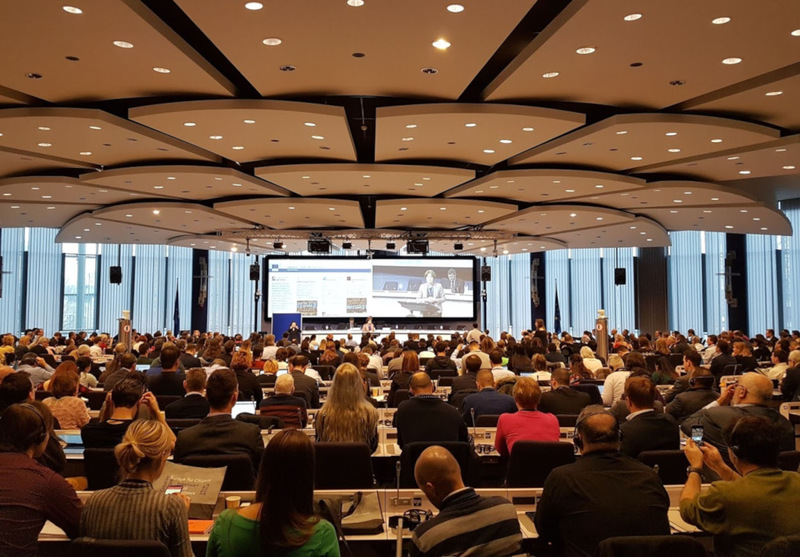 Over 500 people represented various organisations and institutions from all over Europe attended the 6th edition of the Sport Info Day. The hosts prepared information about the Erasmus+ sports chapter and other EU funding opportunities related to sports activities. The event was opened by Mr Tibor Navracsics, EU Education, Culture, Youth and Sport, Ms Ute Haller-Block, Head of Sport in the Executive Agency and Mr Yves Le Lostecque, Head of the Sport Unit. The meeting was also an excellent opportunity to meet representatives of existing partners, as well as an opportunity to explore potential new strategic partnerships and project cooperation. Also two Presidents of the EUSA member associations - Mr Patrik Perosa from Slovenia and Mr Ceslovas Garbaliauskas from Lithuania - attended the event. In the past year, EUSA was awarded support from Erasmus+ for a 2-year project Promoting Dual Career through Education of Young Journalists (PRODUCE) on skills development through promotion of dual career, involving and training youth reporters at university sport events in Europe. EUSA with its EUSA Institute in Ljubljana, Slovenia, will also form partnership consortium in some other projects which were selected for funding in the field of promotion of education in and through sport with special focus on skills development and supporting the implementation of the EU Guidelines on Dual Careers of Athlete; as well as in the field of encouraging social inclusion and equal opportunities in sport: Rainbow Youth Sports Equality (RYSE), lead by the Leadership, Equality and Active Participation (LEAP) in Sports; Skills for You(th) through Sport (SKYS), lead by the Youth section of the European Non-Governmental Sports Organisation (ENGSO) - ENGSO Youth; Media as a channel of Athletes’ Dual Careers promotion and education (EdMedia), lead by the Lithuanian Sports University; Athletes Friendly Education, lead by the Olympic Committee of Slovenia; Match point, lead by the Bulgarian Tennis Federation; Halting Harassment and Abuse in Sports using Learning Technologies (HALT), lead by the Aristotle University of Thessaloniki. 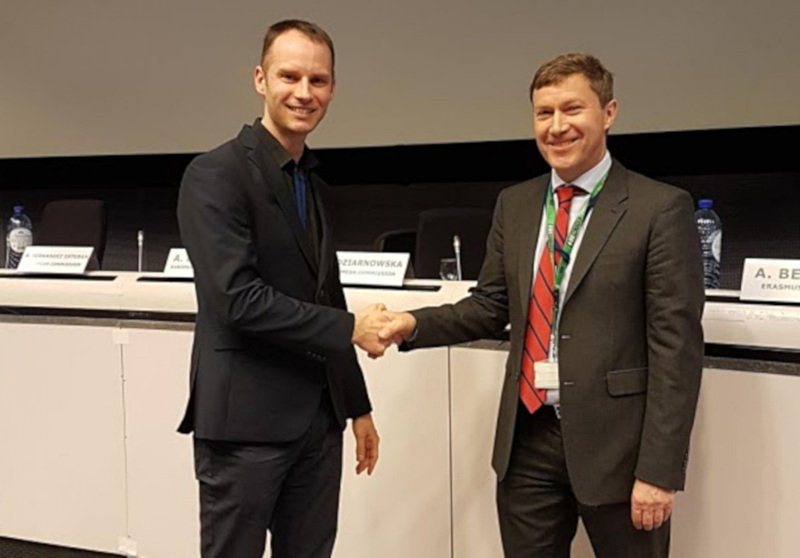 EUSA representative Mr Pisl took the opportunity to meet the representatives of the European Commission and the Executive Agency, as well as some of the project partners at the meeting, also discussing next steps in the projects. Kick off meetings for the before-mentioned projects are taking place in February and March. Several of the events during the two days were also streamed live, and recordings, along with the given presentations, will soon be available at the dedicated website.